Size: 31.6 x 49.5 cm. 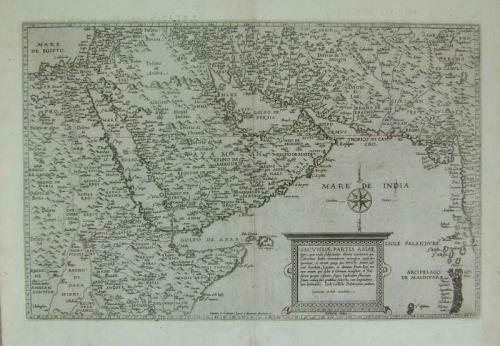 Map of the Arabian Peninsula also showing parts of north Africa and Persia with relief shown pictorially. Plate 9 from: Speculum orbis terrarum. In very good condition with two minor worm holes filled at the centerfold.